For marketers who’ve been keeping an eye on the SEO landscape for a few years now, you’ll know that Google has made several big changes to their search engine algorithms. So far, there’s been Panda, Penguin, Hummingbird, and Pigeon, as well numerous 2.0, 3.0, and 4.0 updates to those as well. If you lost track of that zoo, you’re not alone, and many marketers have gone the past few years thinking that if you stuff enough keywords into your website, you’ll be fine. That won’t exactly get you where it used to 5 years ago, however, because today’s algorithms have more emphasis on optimizing the pages for the user – not just for search engine crawlers. When you think of the most basic search engine optimization tactics like using keywords in your copy and optimizing the meta description, HTML code, title tags, and alt tags, that’s the foundation for on-page SEO. On-page SEO refers all the measures that can be taken directly within your website to improve its position in the search rankings. This includes those basic tactics listed above, but also takes into consideration things like overall content quality, page performance, and content structure. While keywords are less important than they were a few years ago, keyword optimization is still a cornerstone of SEO today. That said, the focus has shifted towards more long-tail keywords, which fit the search patterns of today’s internet users better. Think of your audience and the keywords they’re searching for, and try to create and optimize your website content around those keywords. A meta description is the short description that appears below your URL on a search engine results page and below a headline in a social post. It should describe the content on that page, but more importantly, be sure to include any relevant keywords in this area so they can be picked up by search engine crawlers. Try and keep you descriptions to under 300 characters to ensure your entire description is shown in search results. Alt text refers to the word or phrase that can be attributed to a picture file to help it be indexed for searched. If you use a graphic in your blog that outlines some injection molding tips, for example, you can save the alt-text for that image as “automotive-injection-molding-tips”, and that graphic will start to rank for that phrase in the image results. The title tag refers to the title of your web page, or the main heading you see in the search engine results pages. The title tag in the above photo is SEO Survival Guide (H1 tag). Once again, this is another crucial opportunity to include relevant keywords and boost the searchability of your page. Page security is more important than ever in 2018, and enabling Secure Sockets Layer (SSL) security technology is crucial for improving your security, trustworthiness, and visibility. By enabling SSL, you increase the likelihood that a third party doesn’t come between your web server and the visitors’ web server, ensuring that information entered on the site is safe. Likewise, Google actually prefers sites that are SSL-enabled, making it essential to boosting visibility. In addition to the factors listed above, an organized URL structure is important for today’s marketers, because it allows search engines to crawl from page-to-page on your website more easily, and makes navigation more efficient for visitors. You want your URLs to contain keywords that reflect the pages they direct to, as easy-to-understand URLs are more likely to earn clicks, and also help search engines crawl your site. This is where pillar pages have come into play more recently for marketers, with certain pages on websites being dedicated to popular topics your prospects are searching for, and linking all related pages back to that pillar. Let’s say you want to create pillar pages dedicated to automotive, medical, and consumer injection molding applications, for example. With your pillars identified, you can tailor your content and URL strategy specifically to those pillars, link all related content back to the main pillar page, and help you boost your searchability on those topics. Speaking of internal linking, internally linking related pages on your website is another important factor of on-page SEO. Linking to different relevant pages on your site makes it easier for search engines to crawl everything, and also keeps visitors engaged longer. 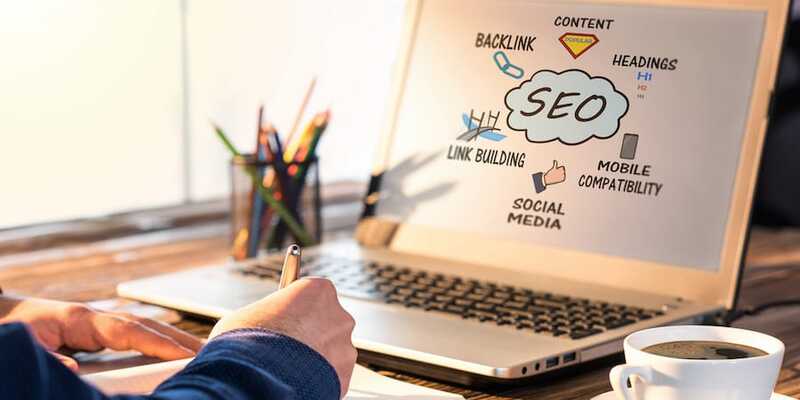 While on-page SEO refers to the factors you can control on your own website, off-page SEO refers to the page ranking factors that occur off your website, like backlinks from another site. It also includes your promotion methods, taking into account the amount of exposure something gets on social media, for example. The number and quality of backlinks you have to your site is undoubtedly the biggest factor of off-page SEO. The more sites linking to your content, the more domain authority Google grants your site, boosting your ranking. This has led marketers to try questionable paid link-building tactics, but there are several organic approaches you can take that produce effective results, such as guest blogging, being featured in industry trade publications, and seeking out contacts in the industry who’d be happy to share your content. Measured on a scale from 1-100, your domain authority is a number given to you by search engines to determine the strength of your website. Think of it as a grade, essentially. Websites with a higher domain authority receive preference in the search results, while websites with a lower domain authority are more likely to rank near the bottom. Domain authority is measured by a few different factors, including how long you’ve had your domain name (the longer the better), the history of the domain name, the number of backlinks, and the number of 404 pages. By ensuring you have a technically sound website that follows the SEO best practices, you can maximize your domain authority and improve your ranking. While page ranking isn’t tied directly to the interactions on a social media post, social posts that generate a lot of clicks will certainly help boost traffic to the site and generate a ton of link shares. Content that’s shared on Google+ is also indexed immediately, helping in that regard. On-page and off-page SEO work together to improve search engine rankings. By working on what you can control today—producing quality content that is supported by high-quality on-page SEO—you’ll be well on your way to earning backlinks, improving your domain authority, and controlling your off-page SEO.